Forum: A web Forum built for Sierra C3, Sierra Denali, and Yukon Denali owners. Have a question about your Denali or other GM truck or SUV? Just ask our members and get answers on care and maintenance, mechanical issues, etc. Our forum is a friendly place for owners to share their knowledge and experiences with other Denali Truck and SUV owners. *Note: You must enable/allow 3rd party cookies for the DenaliTrucks.com domain for this program to function properly. Gallery: Our Gallery provides free online storage for our members to host pictures and video clips of their trucks and SUVS as well as their toys. Each member recieves 5MB of free online picture storage and may create their own personal album. *Note - This program also uses 3rd party cookies. Documents: Our growing archives of files related to Denali trucks and SUVs including press write ups, tests, technical documents and more. Links: Our links to other web sites that have information that may be of interest to our members. 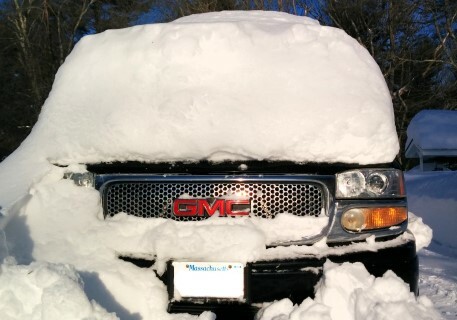 We welcome owners of all GM trucks! The original GMC C3/Denali Group, formed on 8/02, has grown thru the years to become DenaliTrucks as you now know it! Interested in advertising with us? We'd love to have you!